There Are No Official Channels for Whistle Blowers. I'm not a whistle blower, and I never intend to become one. But I want to state something very obvious about the nature of whistle blowing. When you blow into it, sound is blasted in every direction. It isn't directed through a "channel". It gets the attention of everyone nearby. The public take notice. Immediately. Their better natures are given a chance to assist with the problem. 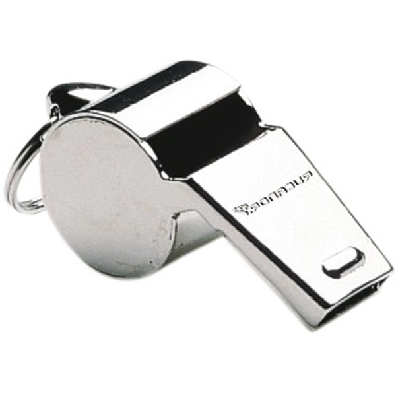 Whistle blowing is only effective because it is a public act. If there is a system called "internal whistleblowing channel" -- then guess what? That is not a whistle-blowing channel. That is a whistle-silencing system. Even (particularly) if it says "whistleblowing" on the title of the system. Unless it broadcasts the signal, publicly and indiscriminately, it is not for whistleblowing. Anytime someone blows the whistle on a corrupt organizational unit, many otherwise intelligent people shake their heads and wonder why the "official channels for whistleblowing" were not used, as if such a thing is possible. Whistles are not blown into "channels". You blow a whistle so that people, ordinary people, people who exist far outside of the cultural bubble in which the corruption has flourished, can be made aware of what is occurring and can intervene, immediately.